Geneva, 26 June 2017 – France and the Principality of Monaco contributed funding to the International Consortium on Combating Wildlife Crime (ICCWC), a collaborative effort of the CITES Secretariat, INTERPOL, the United Nations Office on Drugs and Crime, the World Bank and the World Customs organization, to strengthen criminal justice systems and frontline efforts to combat wildlife crime. This funding will support the implementation of the ICCWC Strategic Programme 2016-2020. This support follows the adoption of a Decision at the 17th meeting of the CITES Conference of the Parties (Cop17, Johannesburg, September 2016), encouraging CITES member states to provide financial support to the Consortium to ensure that continuous coordinated global support is provided by it to the law-enforcement community in their fight against wildlife crime. “Thanks to the generous financial contributions from France and the Principality of Monaco, ICCWC will be able to enhance its support to range, transit and destination countries affected by illicit wildlife trafficking” highlighted John E. Scanlon, CITES Secretary-General. “ICCWC is delivering on an increasing number of well targeted activities in response to growing demand from countries requesting ICCWC’s support. The funding provided by France and Monaco makes an important contribution to enabling ICCWC to deliver support and capacity building to step up the fight against wildlife crime”. “International wildlife crime, must be fought at different levels: nationally, regionally and internationally. This is what ICCWC does. This cross-cutting initiative has already demonstrated its effectiveness in the development and provision of indispensable tools for States in law enforcement and criminal justice as well as in social and economic fields”, outlined M. Gilles Tonelli, Monaco’s Minister of Foreign Affairs and Cooperation. “For these reasons, the Principality of Monaco recognizes ICCWC as an essential mean to achieve the sustainable development goals”. 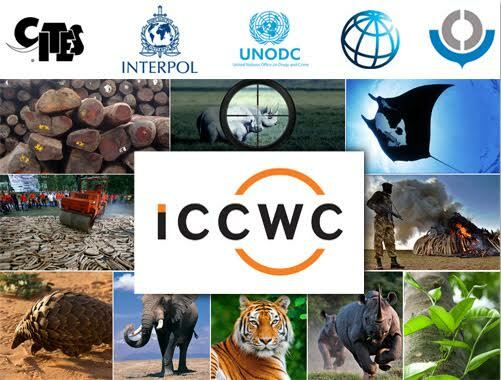 ICCWC is delivering essential front-line support for a broad range of activities to help build law-enforcement capacity and improve geographic and cross-sector cooperation to combat wildlife crime. This is captured in the ICCWC Strategic Programme 2016-2020, a comprehensive strategy to strengthen criminal justice systems and provide well-targeted coordinated support in key areas where the Consortium is uniquely-placed to make a significant contribution to combat Illicit trafficking in wildlife. There is strong global recognition of the need for increased international collaboration and coordination to combat illicit trafficking in wildlife, and of the important role of ICCWC. France’s 85,000 euro contribution for activities in 2017 and Monaco’s pledge of 200,000 euro over the next four years are the first of a number of pledges received from CITES Parties at CoP17 and at the Hanoi Conference on Illegal Wildlife Trade in 2016, to support and further facilitate the efforts underway by the Consortium.